Project by Achilles Nicolas Kilaris and Iara Kilaris. 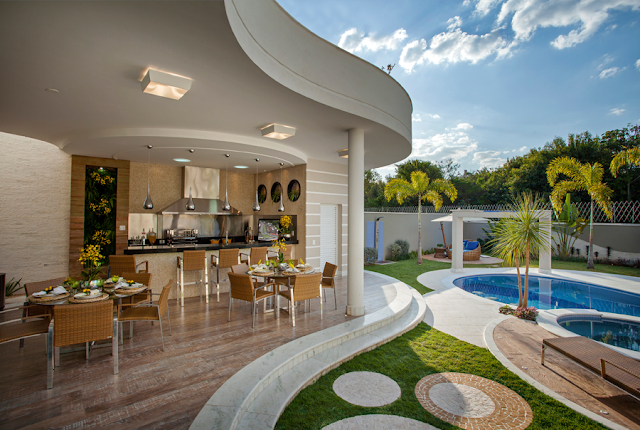 Most of the land in Brazil has a standard measure of 10x30 m and 12x30 m.
Which leads many people to think that it is small land to build a big house! 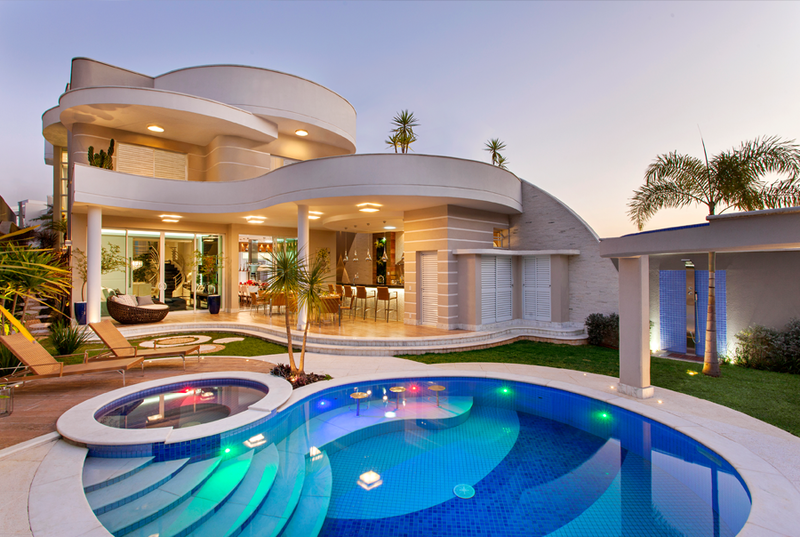 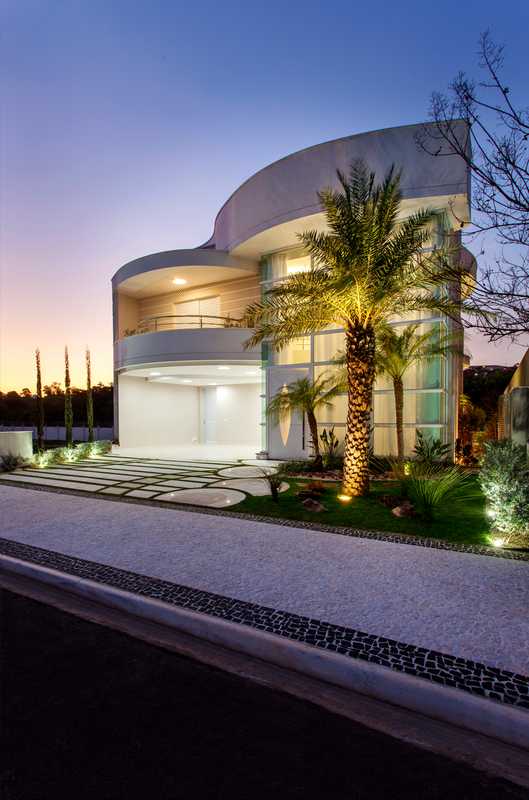 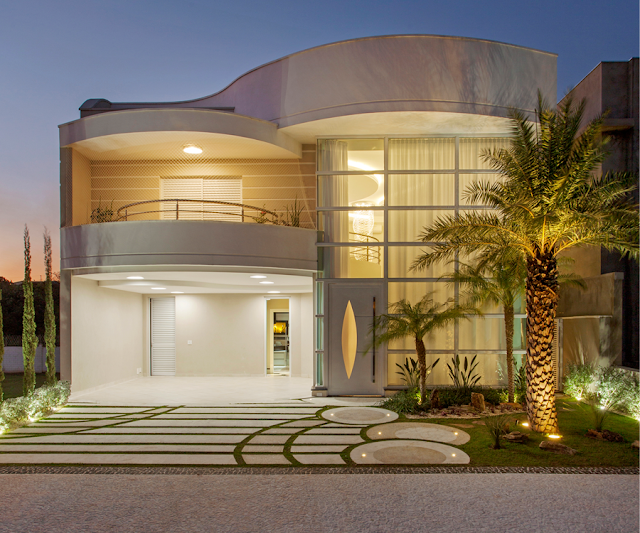 However, through a well-crafted architectural design that includes mainly two floors or more, having a large house on a land with standard footage is entirely possible. 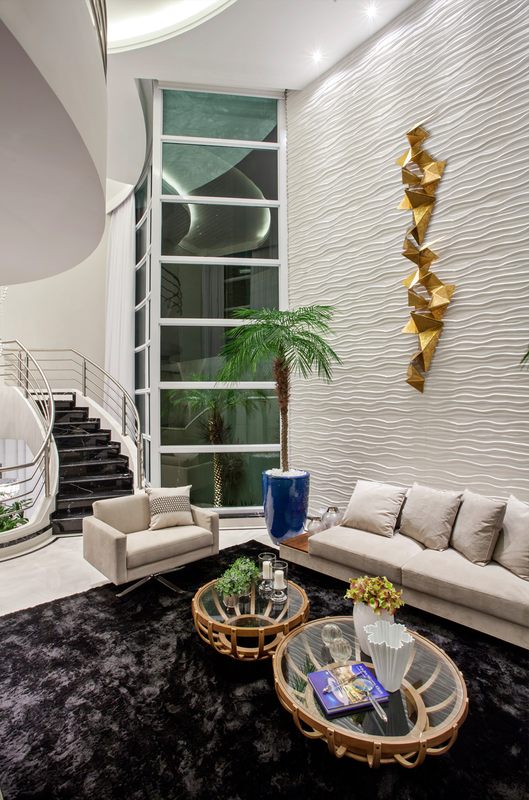 And as an example of this, today I brought you to share with you this beautiful house designed by the architect Achilles Nícolas Kilaris with interior decoration executed by the designer Iara Kilaris (everything is mara - get ready)! 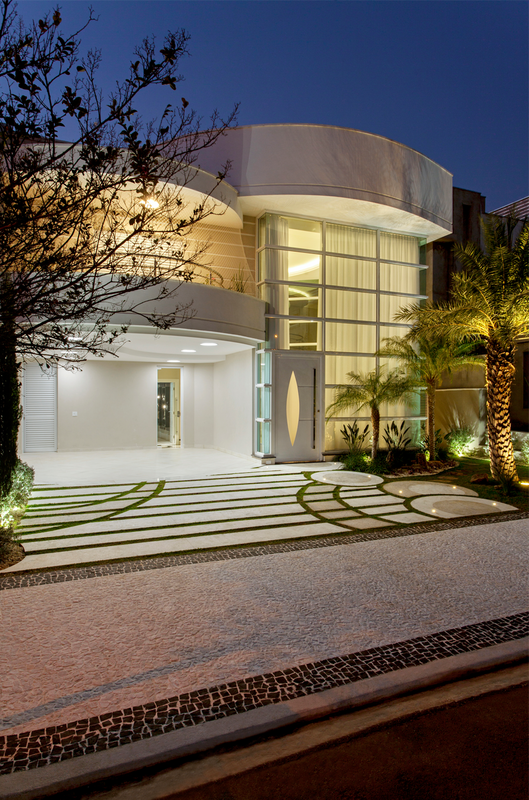 Designed on a 12x30 lot, this house with a contemporary façade and curved lines has 3 floors designed with the purpose of better utilizing the natural unevenness of the land (which reduces the total cost of the project) and to meet the number of spaces requested by the client which includes: garage, 3 rooms (living, dining, tv), toilet, office, kitchen, laundry area, large leisure area with pool and 4 bedrooms! 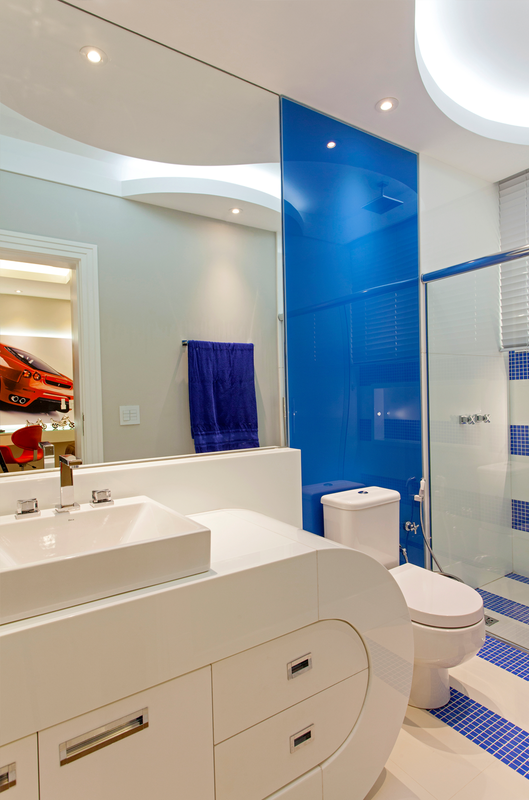 On the ground floor is located the garage with capacity of two cars, the living room, the office and the toilet. 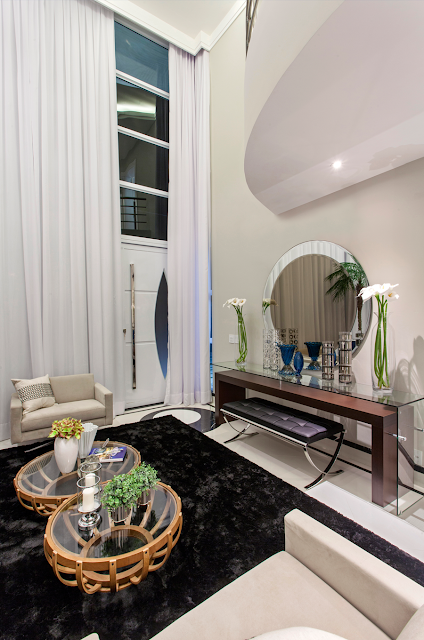 Right at the entrance of the living room and it was reserved a space for the hall decor consisting of mirror and sideboard. Living room with Castelatto Dunes flooring and golden sculpture. 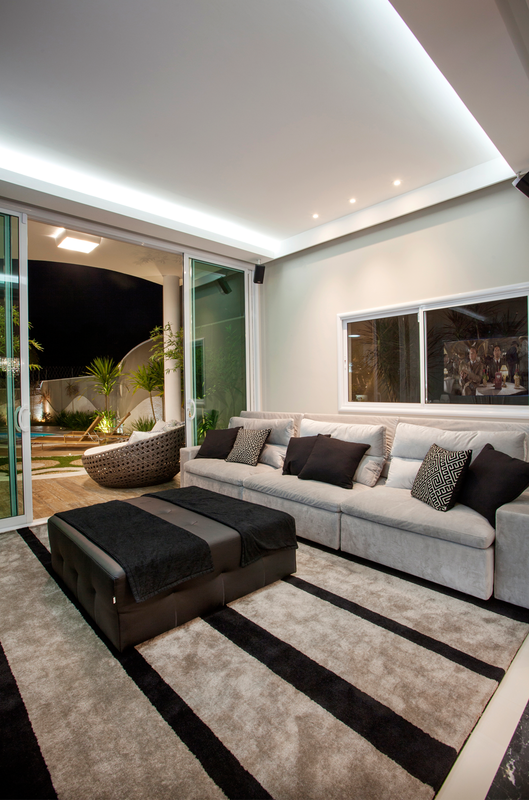 Through the glass it is possible to have an integration of the living room with the external area. 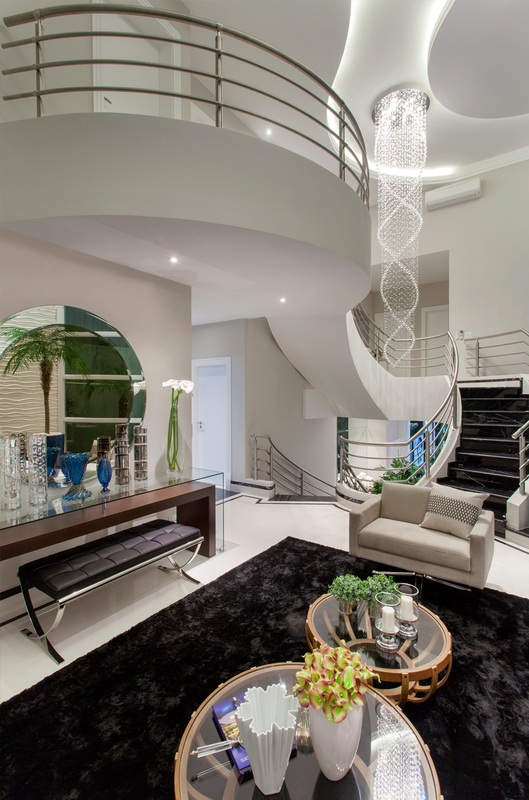 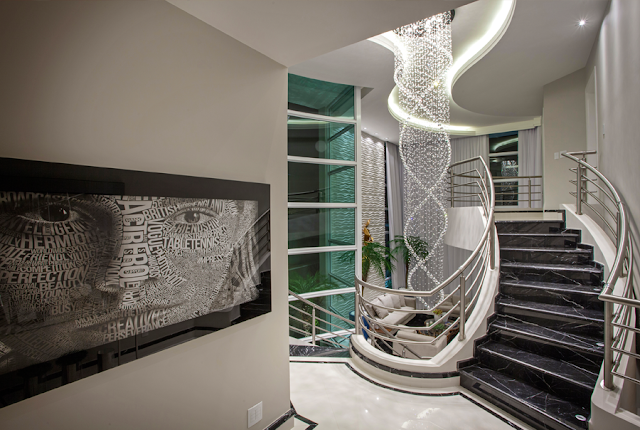 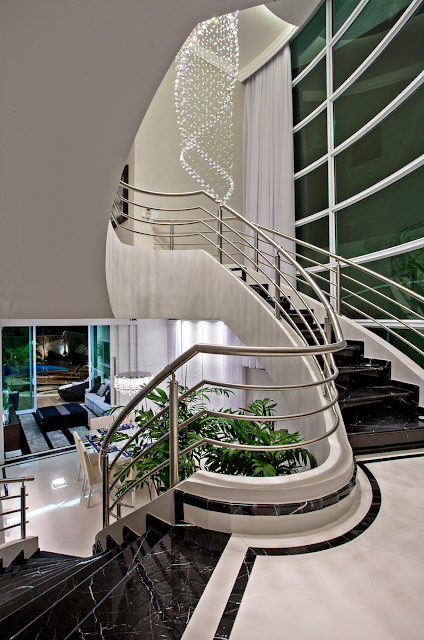 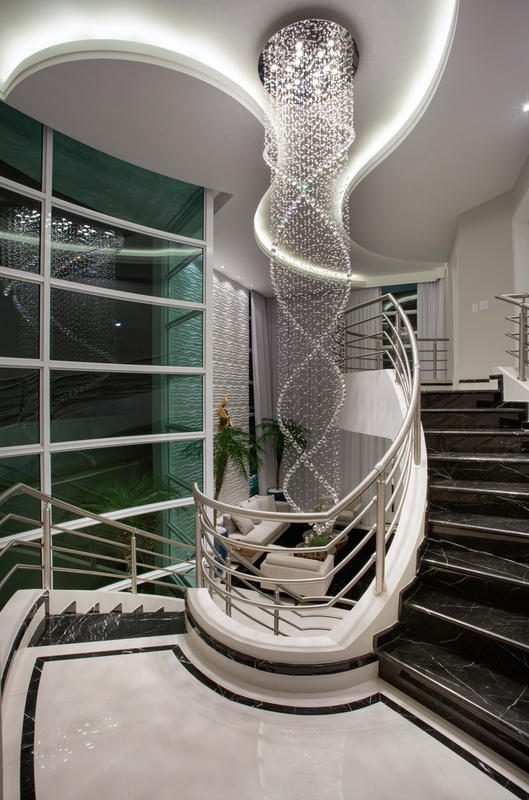 Mezzanine with curved lines overlooking the living room and staircase with access to the lower and upper floors. 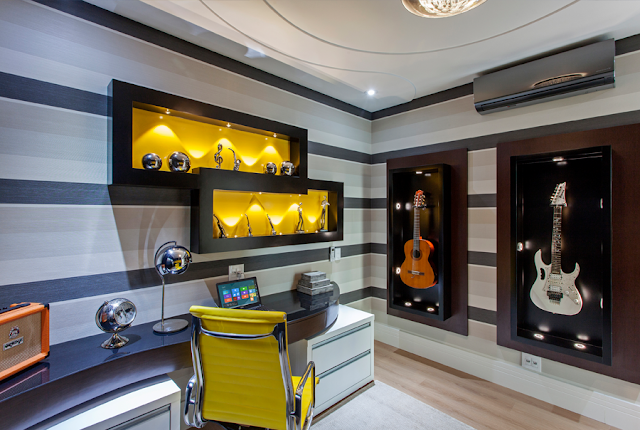 Office of the musician decorated with the theme! I love the idea of ​​guitar and guitars in the illuminated niches! 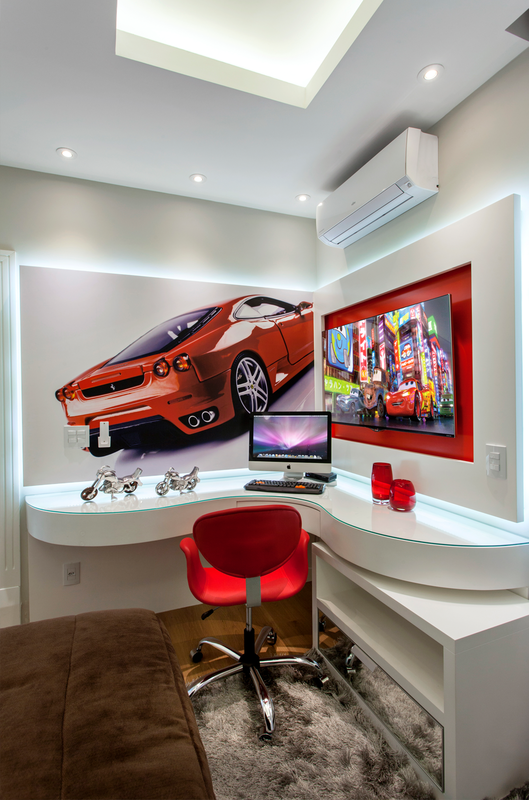 Because it is a home office that also serves customers, the office entrance can also be made with direct access from the garage - without need for circulation through the living room. 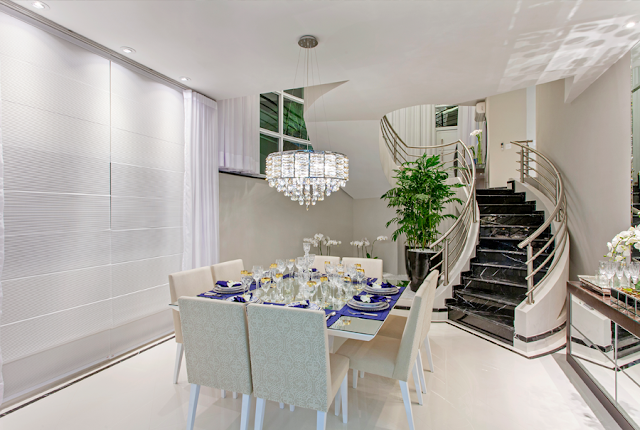 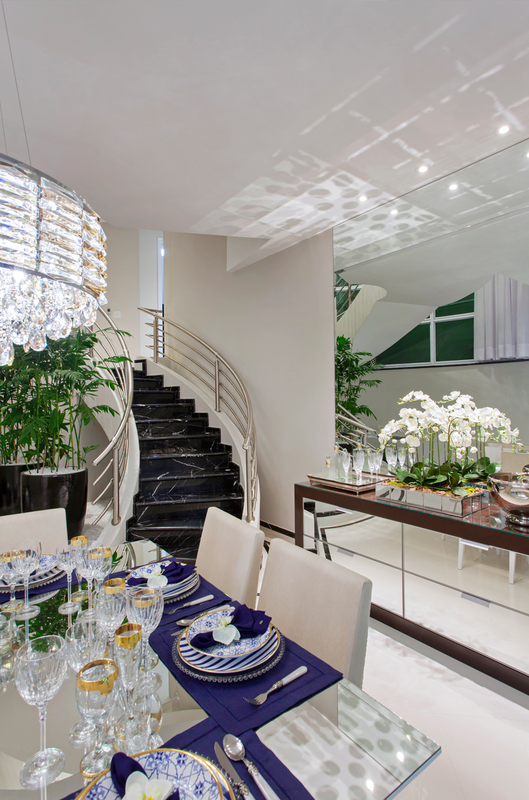 Dining room with table for 8 persons, mirror buffet and crystal chandelier. Home theater with integration with the leisure area. 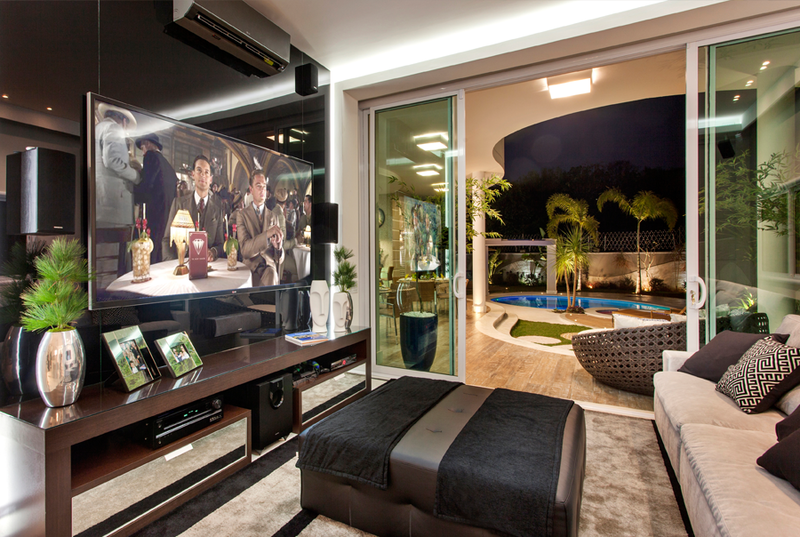 And with the dining room through the sliding door. 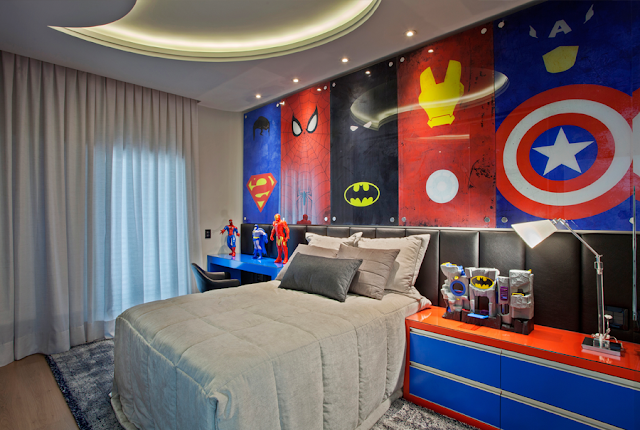 I love the decor and colors of the room! 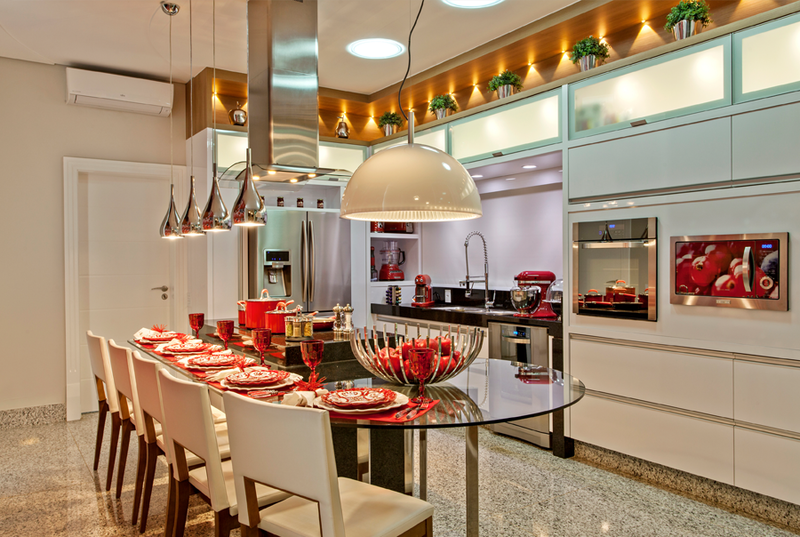 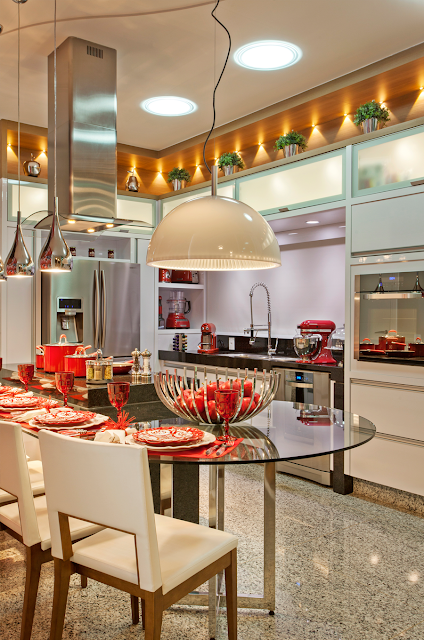 Kitchen decorated with white base and red colored dots. Gray granite floor and stainless appliances. 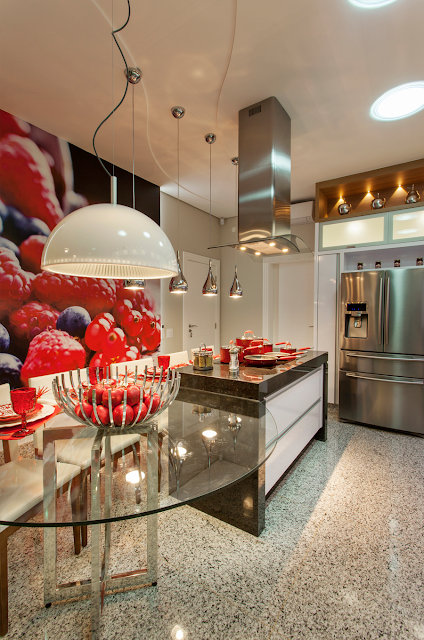 3D background image with fruit theme gives charm and personality to the environment. 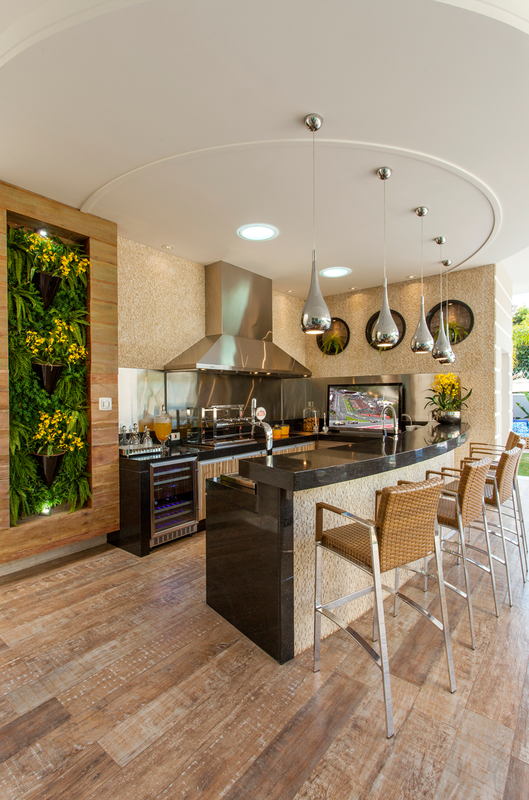 Service area with granite floor and countertop. 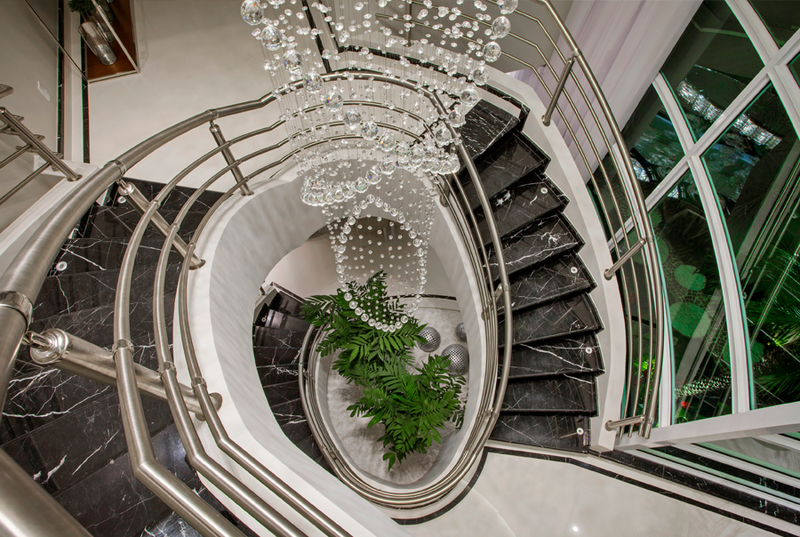 Staircase with Marquina marble and stainless steel handrails. 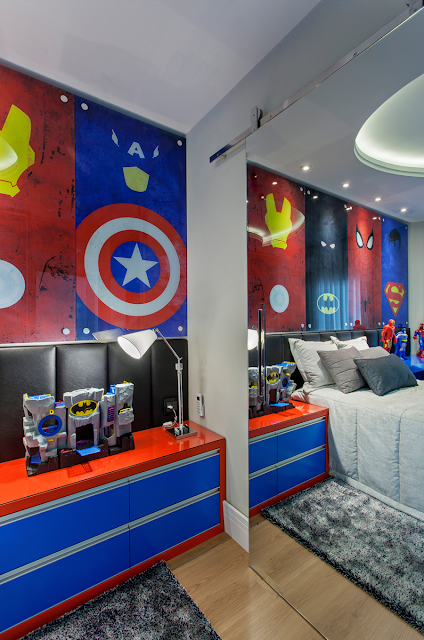 Room decorated with superhero theme! 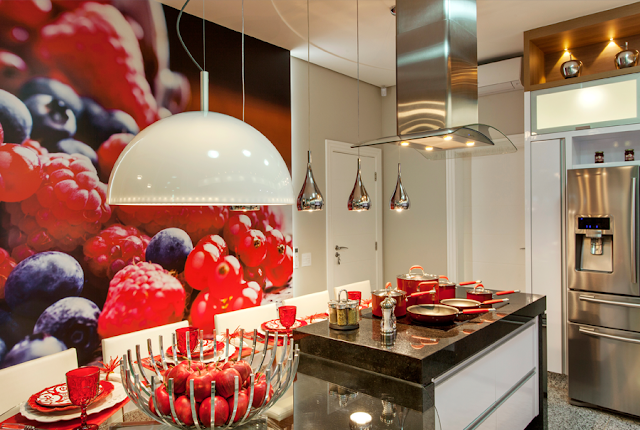 Love the composition of red and blue! Bedroom with neutral base, hardwood floor and decor with soccer theme! 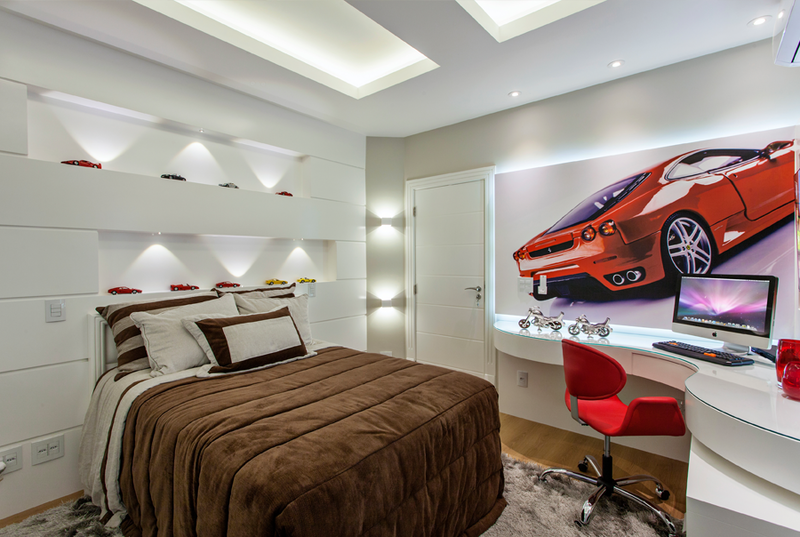 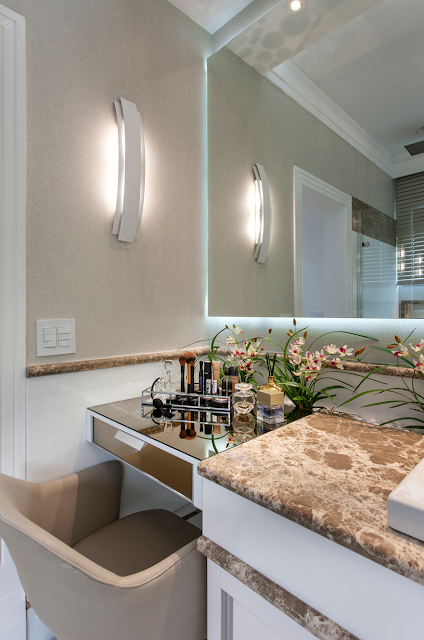 Headboard wall with illuminated niches that accommodate and enhance the collection! Desk, red chair and backlit panels is my favorite space in this room. 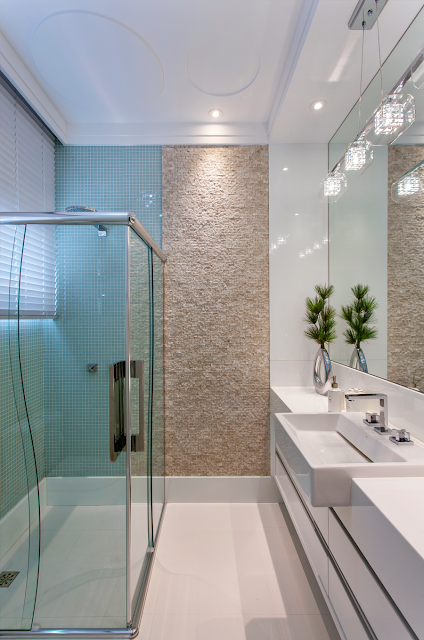 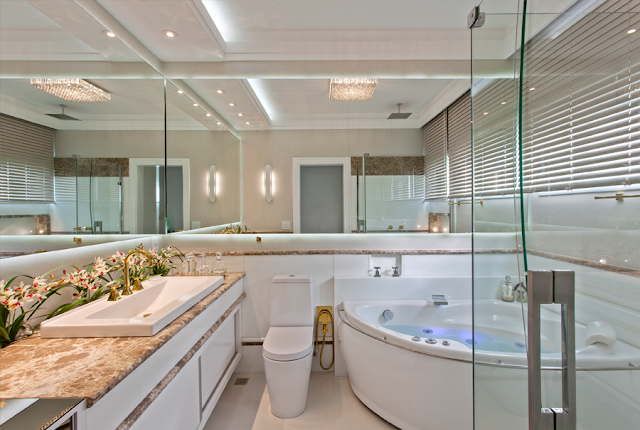 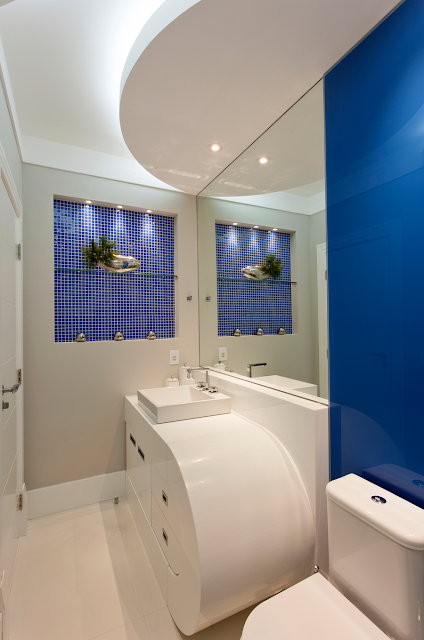 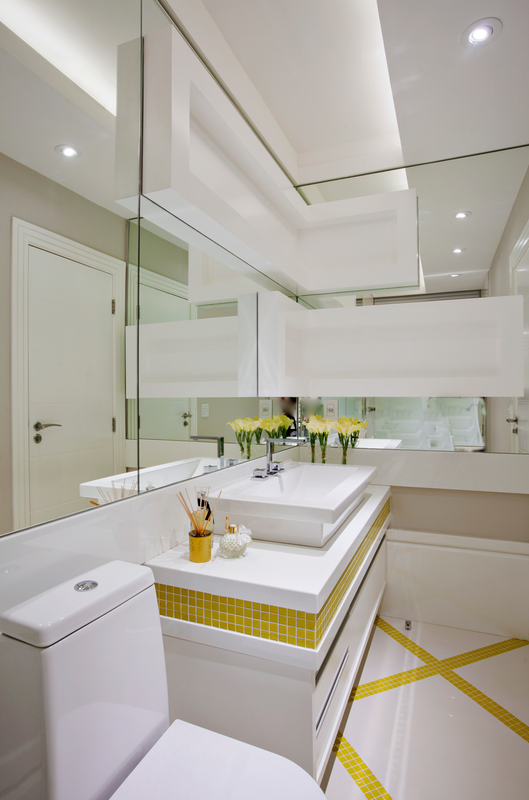 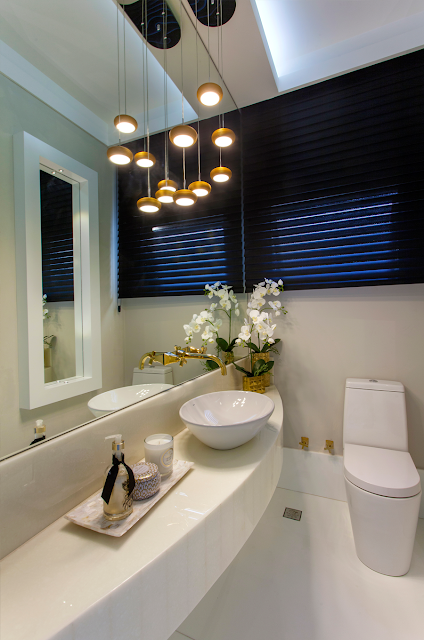 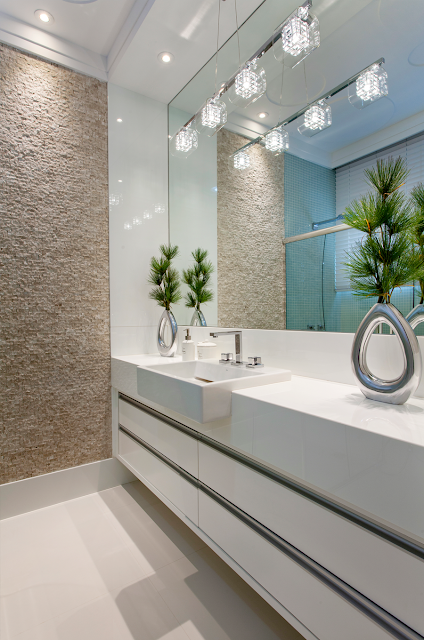 Bathroom with white base color and blue details that make good impression with the red of the room. 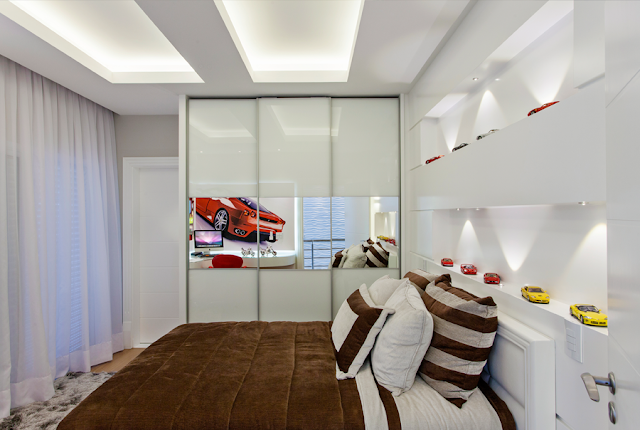 Indirect light from the ceiling demarcates the space of the bedroom. 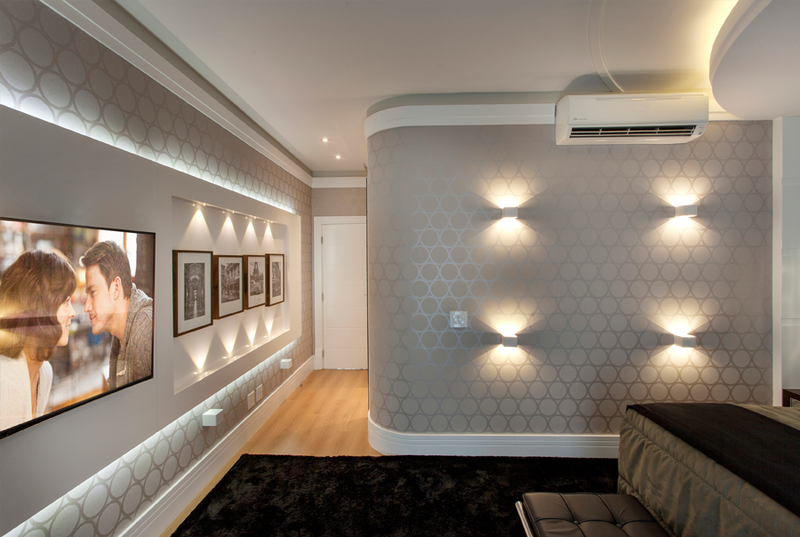 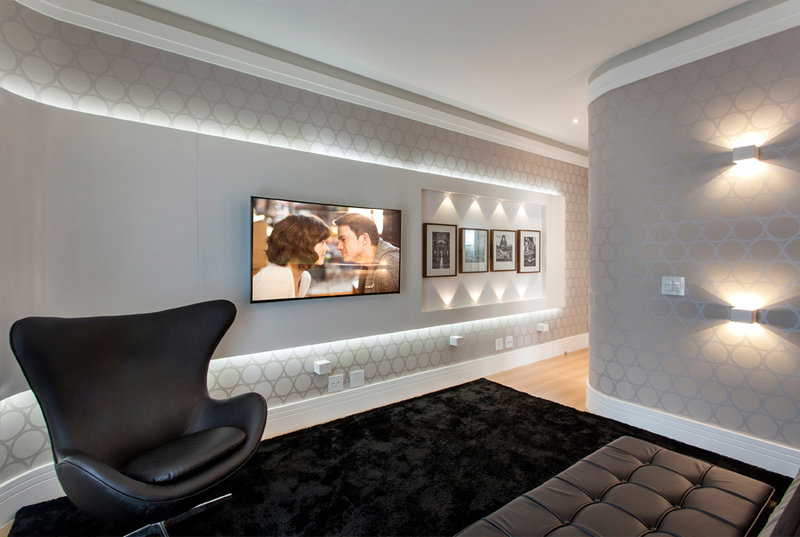 The room is full of light effects, wallpaper with geometric pattern and the pictures. 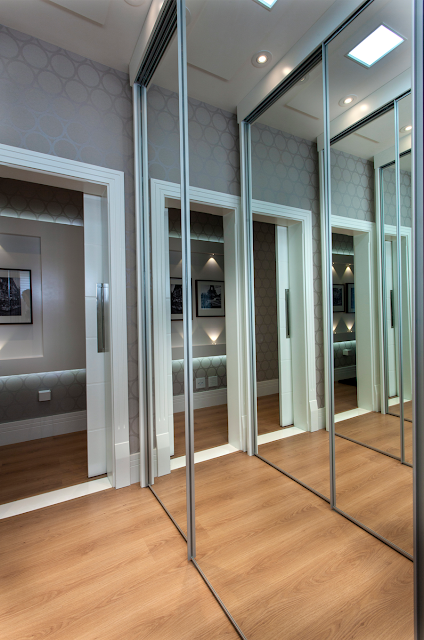 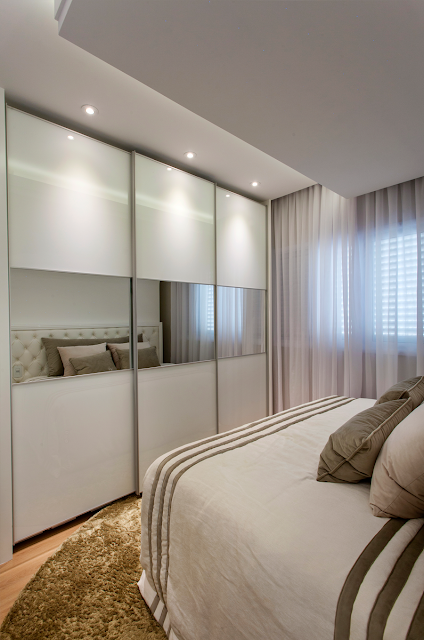 Closet with mirrored sliding doors. 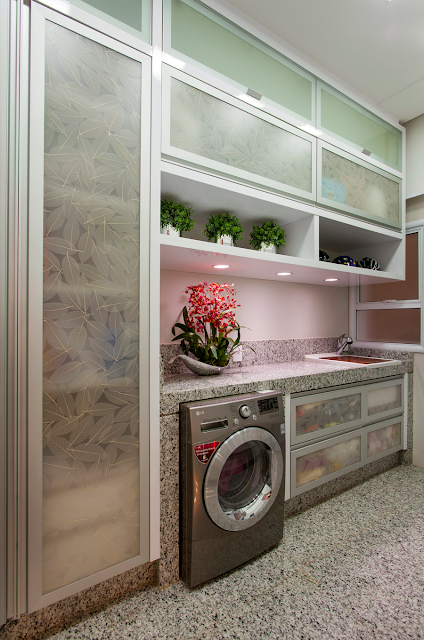 One of the closet doors gives access to the master bathroom. 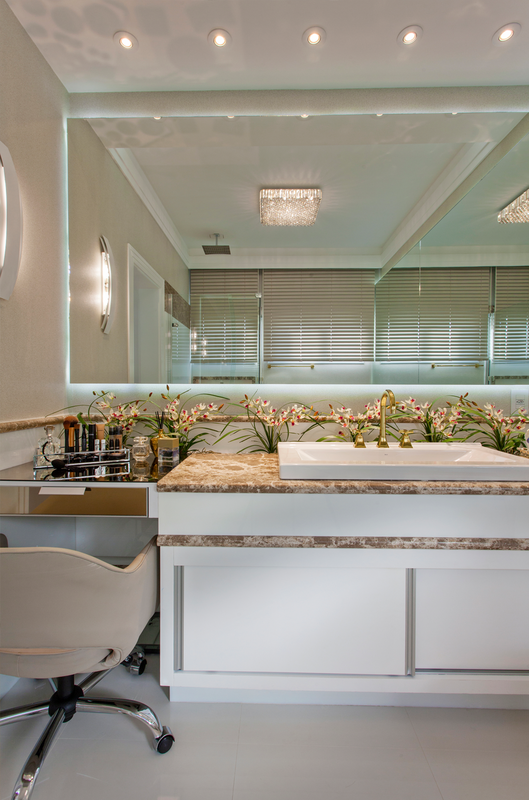 Master bathroom with brown imperial marble countertop and white whirlpool tub. 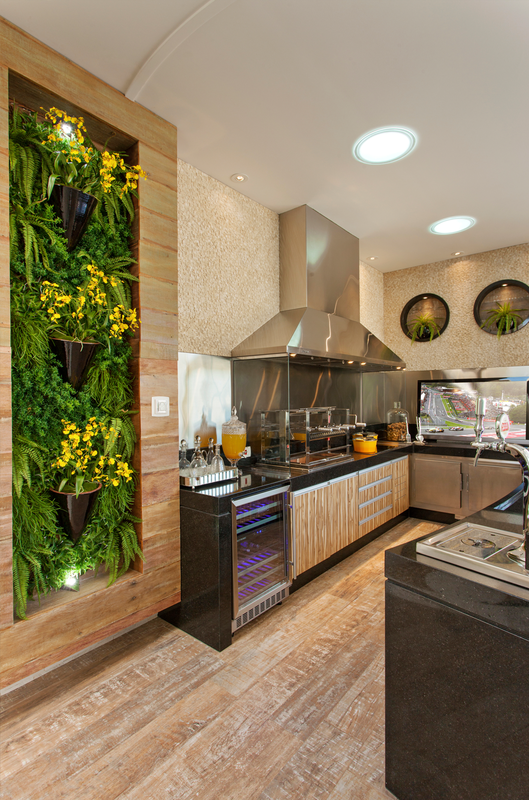 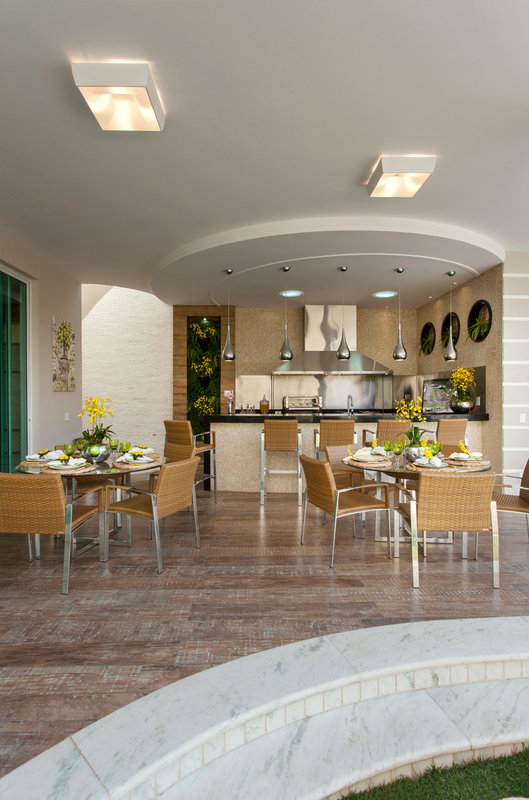 BBQ area with porcelain wood floors and vertical garden. 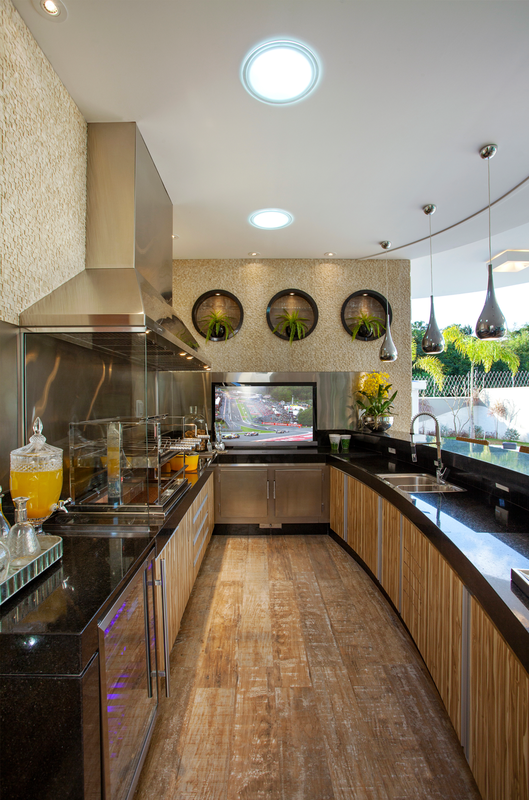 Stainless steel hood that serves both barbecue and the cooktop. 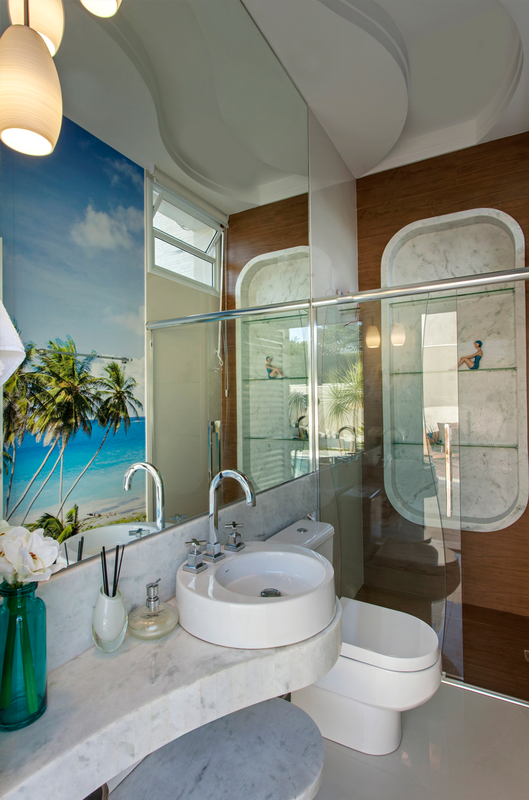 Pool bathroom with curvilinear carrara marble and 3D beach theme image! 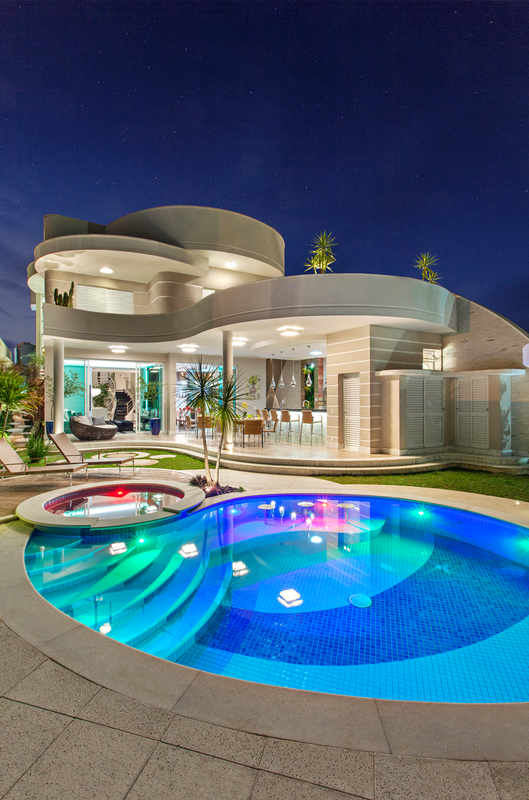 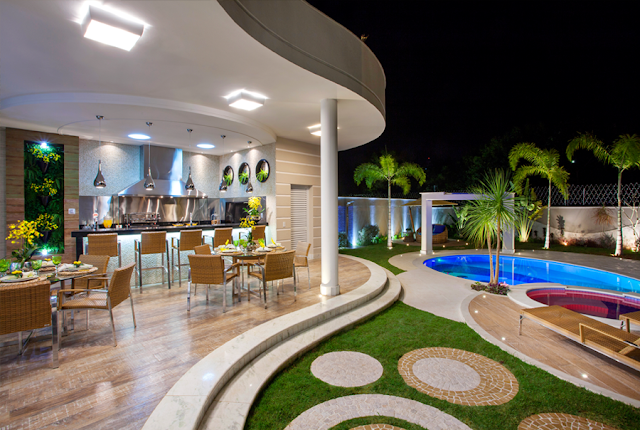 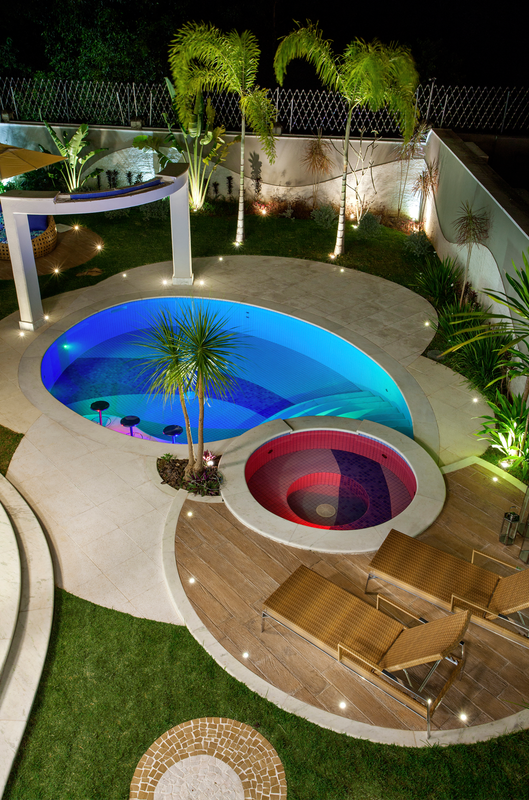 Beautiful pictures of the huge leisure area that designed with the house on a 12x30 lot!